I have been so wrapped up in knitting lately that I really haven’t pulled out any of my quilting projects in a long time. Still, that hasn’t stopped me from pinning some beautiful quilting I’ve seen around the internet. 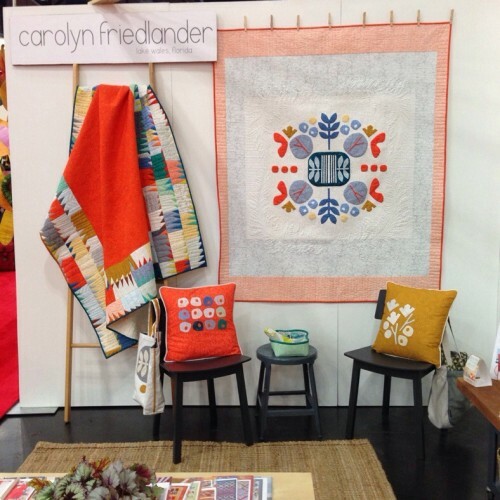 The other day I ran into the quilts of Carolyn Friedlander, especially her Botanics set. I just love the clean, modern look of the quilt, pillows and bag. I have to say I’m also very drawn to the colors she used especially that blue with the orange (though they are not colors I would typically pick out). She used her own line of Botanics Fabric which has the same clean, modern aesthetic. 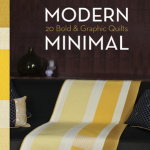 She really has a beautiful selections of quilt patterns which are available at independent quilting shops. Maybe one of these will inspire me to pick up the quilting needle again. 5 years ago by Kat in Quilting | You can follow any responses to this entry through the RSS feed. You can leave a response, or trackback from your own site.